Jackie Warner knows a thing or two about staying in shape; the highly sought-after trainer has been in the fitness game for over 20 years. And because Jackie makes a point to help everyday people overcome challenges associated with weight and diet, we knew she was the woman to turn to for a healthy—and realistic—holiday survival guide. 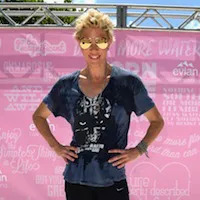 Jackie Warner knows a thing or two about staying in shape; the highly sought-after trainer has been in the fitness game for over 20 years. And because Jackie makes a point to help everyday people overcome challenges associated with weight and diet, we knew she was the woman to turn to for a healthy—and realistic—holiday survival guide. Check out what the OpenSky Insider says are key tricks for staying healthy during the holidays. Enjoy yourself. It's important to not feel deprived during the holidays; plan accordingly and allow yourself two cheat meals each week, said Jackie. But the rest of the week, stick to clean and healthy eats. For Jackie that means four proteins, three veggies, two grains, two fruits, and one fat a day. Stay hydrated. Jackie recommends drinking three liters of water a day, preferably with lemon juice. Doing so helps speed up metabolism and keep energy levels at a high—perfect for getting through all those holiday parties with pep to spare for a workout. But it's more than that, said Jackie. "It prevents cravings, so you are less inclined to snack on bad-for-you foods. And helps cleanse the liver and kidney." This holiday season, make it a habit to bring a water bottle wherever you go. Don't Let the Medicine Ball Intimidate You—5 Easy Moves! Choose this, not that. When deciding on what to indulge on this season, Jackie recommended keeping refined carbs and sugars to a minimum. Hold yourself accountable by keeping a food journal and writing down what you eat during the week. Not only will a food journal help you keep track of your carb intake, but it also keeps you accountable and encourages you to eat healthier. And since sticking to a healthy diet isn't easy, acknowledge your efforts, even if you only "put a smiley face next to each day of clean eating," Jackie said.